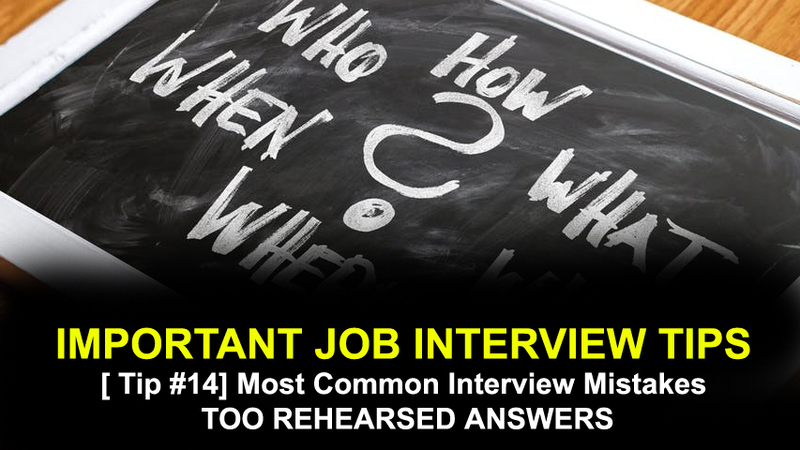 Practicing for an interview is a great way to calm your nerves. But if you’ve practiced too much? Your answers to the hiring manager’s questions can come off as totally rehearsed—you’ve answered every question in your interview so far as though you’ve read your response straight from a script. Our expert’s tip for avoiding it: Nell recommends practicing for an interview with a friend, family member, or someone else you trust (especially if practicing with a pro is going to make you feel too stiff)—and telling them to let you know when you need to loosen up. “Getting feedback from someone can be extremely helpful,” Nell says. “That can be a roommate, a friend, a parent—it doesn’t have to be a career services professional. There are probably things that you don’t even recognize that you’re doing.” Like, ahem, sounding like you’re reading from a script.